DivX has come out with a new online video sharing service called Stage 6. Already the site has pretty impressive collection of videos. DivX is a video codec created by DivX, Inc. (formerly DivXNetworks, Inc.), which has become popular due to its ability to compress lengthy video segments into small sizes while maintaining relatively high visual quality. DivX uses lossy MPEG-4 Part 2 compression, where quality is balanced against file size for utility. It is one of several codecs commonly associated with ripping, where audio and video multimedia are transferred to a hard disk and transcoded. As a result, DivX has been a center of controversy because of its use in the replication and distribution of copyrighted DVDs. Experience – You can watch the DivX videos you download from Stage6 on your TV using a DivX certified DVD player or absolutely anywhere with a DivX certified portable or mobile device. Get Paid – On Stage6, you can become a publisher and get paid for your creative projects. By becoming a publisher on Stage6, you can set your own prices and essentially create your own unique business model. One thing that stands out in DivX is the quality of the video. 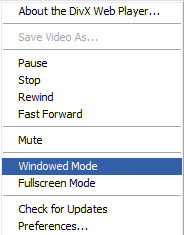 You can see the video in the normal embedded player or you can opt for the full screen/Window mode. The clarity of the Full Screen mode is amazing. Even the audio was of very good quality. 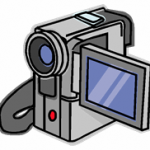 Note: Unlike other video sharing sites like Google Video or Youtube, the video does not use Flash. You need to install the DivX Web Player to watch the video in Stage 6. Join Stage 6 – Profile/Comment management also looks pretty cool.